With the holidays upon us, many online players fall into two different camps: one side takes a break to enjoy the end of the year with family and friends, while another takes the abundant amount of free time to double down on the grind. 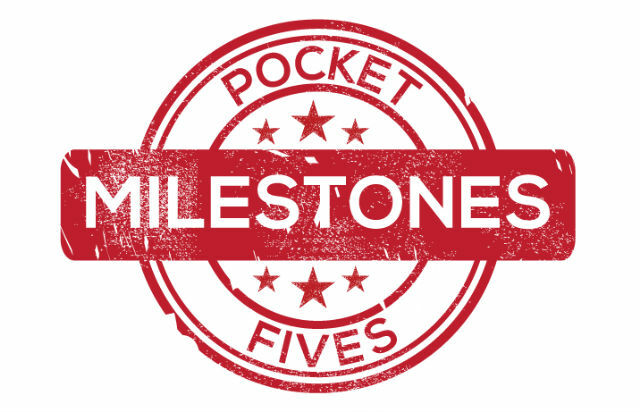 This week, as we head into the final week of the year, we have a conspicuous lack of major, big money milestones but still, for a few, congratulations are in order for hitting new highs in their careers. A PocketFives Triple Crown is no easy feat. Longtime readers know the criteria: a victory in three different events, on three different networks with a minimum prize pool of $10K and a minimum of 100 entrants. In fact, the last Triple Crown to be won prior to this week was Chris ‘moorman1’ Moorman’s record-setting 26th Triple Crown in the last week of October. In total, only 21 different PocketFives.com members have achieved this feat in 2017. This week we celebrate a pair, as Ireland’s Dara ‘doke’ O’Kearney as well Brazil’s Rafael ‘rafitia’ Freitas both earned themselves one of the prestigious prizes. O’ Kearney, the #1-ranked player in Ireland, took two days to notch his three victories. Taking first place in the PokerStars Big $11, 888poker’s $10,000 Deepstack Swordfish and iPoker’s €10,000 Championship for a combined total of over $10,000. Additionally, for good measure, O’Kearney finished runner-up in the partypoker Counterpunch for an additional $2,160. Should he have won that would have been victories on four different networks in two days. Nevertheless, his heater was more than enough to land him his 7th Triple Crown. Freitas claimed his first career Triple Crown with victories in the PokerStars Bounty Builder, the partypoker CounterPunch and 888poker’s $30,000 Sunday Great EIGHT for nearly $12,000 in total scores. Like O’Kearney the heater didn’t end with the Triple Crown as Freitas took down a fourth tournament when he scored an additional $2,390 in the partypoker Middleweight: Big Brawl. The solid performances have helped Freitas position himself at #163 in the Worldwide rankings, a career high for him. The biggest news in the Worldwide Top 100 rankings is the ascension of online poker sorcerer Steven ‘SvZff’ Zadelhoff to a career-high ranking of #1 in the world. The WCOOP Main Event Champion’s overtaking of Swedish legend ‘C Darwin2’ was part of a major shift in the Top 10, which saw eight of the ten spots change hands this week. Additionally, the Ukraine’s #3-ranked player ‘fNx_R’joins the Top 100 for the first time, stepping into the #99 spot.